Vasa or Birkie ? 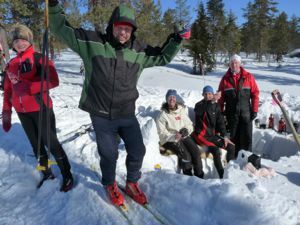 16000 skiers in Norway, the same number that were in the Vasaloppet ! Which one is the biggest? It doesn’t matter: I don’t understand why people want to decree that a race is bigger than another one because it has more participants. It’s a good thing that J50, Marcialonga, Tartu, Vasa, Engadin or Birkebeiner have every year more participants. And it’s not necessary to order them by number. 16000 skiers at the Birkebeiner and no bottleneck! That is fantastic. Of course the start is ideal in Rena. But… it’s possible because the race is “only” 54 kilometers long. The first wave leaves at 7.00 and the last à 10.20. 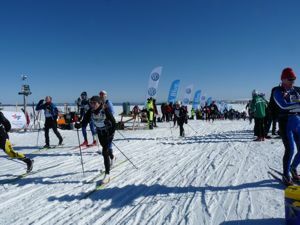 If the Birkie were as long the Vasa (90 km) it would be impossible for the slow skiers (those who need twelve hours to do the race) to finish in time (before 8 at night) ! This year, the tracks in the Birkebeiner where very good and easy to wax. The landscape is wild and hard. And hard … is the run with more than 1000 meters to climb with a rucksack and a little front-wind. But there are so many spectators and the atmosphere is particularly nice. 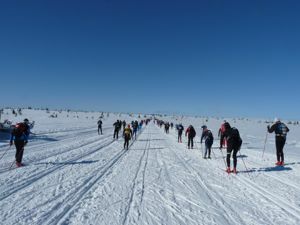 The Birkebeiner is very important for the Norwegians and a lot of firms support employees to do the race. In this race you are never too old!! Except if you are more than hundred years old! 218 older than 70 finished the race and 12 women. The oldest was Tollef Sverdrup : he was 92 and did the race in 8h49m : just one minute after my wife Isabelle ! And Marty Lund-Johanson (she is older than 80) finished in only 7h14m! Fantastic Norwegians. 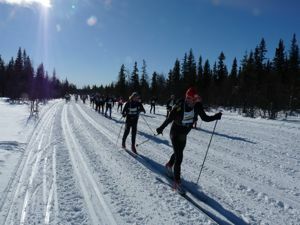 Birkebeiner could be the best way to finish the Worldloppet season. But is not because …. and it’s difficult to register : not to late not to early ! And for the next year I suggest to the Birkebeiner organization to change the name of the race : Volkswagenrennet would be more convenient ! This entry was posted in Race reports 2011. Bookmark the permalink.